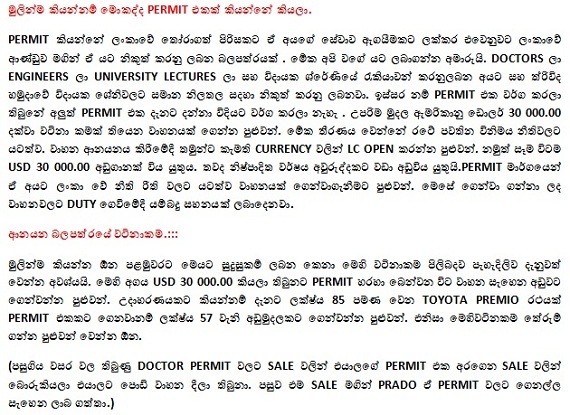 Car Permit is opportunity for Sri lankan executive officers including Doctors, Engineers, University Lectures, etc. Car Permit can use to reduce car importing tax rate. Peoples without those categories try to buy Government car permit for money. Today I would like to introduce whats the car permit and which cars you can import through the permit.